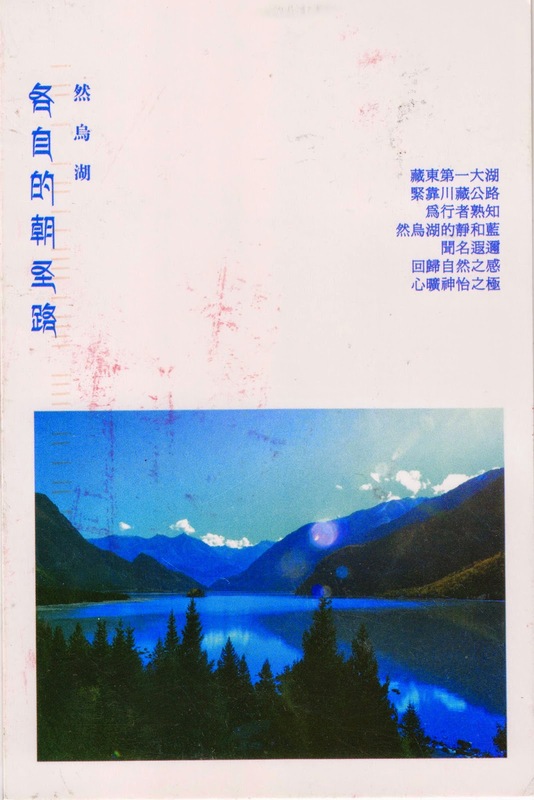 Postcard CN-1487943 from China shows Ranwu Lake (然烏湖), located in Basu County, Changdu, Tibet. As one of the sources of Palongzangbu River which is in turn a tributary of Brahmaputra River, Ranwu is a barrier lake formed by natural damming caused by landslide and mudslides blocking the river. At the elevation of 3,850 meters or 12,631 feet, the lake covers 22 square kilometers or 8.5 square miles, surrounded by the Kangri Garpo Mountain Range and the Laigu Glaciers. The climate near the lake is warm and humid, with an average annual temperature of 8.5 °C or 47 °F and an average annual rainfall of 849.7 millimeters or 33.5 inches. The lake is largely supplied by the surface runoff. State Road 318 runs through the lake on its east bank.